The 2016 Walt Disney World Swan and Dolphin Food and Wine Classic takes place Friday, October 28, and Saturday, October 29 at the Swan and Dolphin Resort. Once again the Food and Wine Classic coincides with the Epcot International Food and Wine Festival. This year’s event includes the Causeway, Seminars, and the Beer Garden. The Causeway features more than 40 tasting stations featuring dishes from the resort’s 17 restaurants and lounges plus 30 wineries. The Beer Garden will feature several dishes in addition to craft brews. Guests choosing to take part in a seminar can choose from a variety of Beer & Wine seminars, two Spirits seminars, and three Pairing Experiences. Our friends at the Disney Food Blog have a full list of menus for this year’s Food and Wine Classic. Tickets for one night on the Causeway are $98.95 per person. 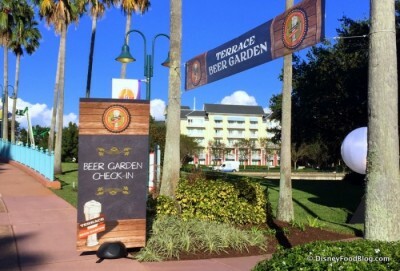 One night on the Causeway plus the Beer Garden is $122.39 per person. A la carte ticket booklets with 25 tickets will be available for purchase at the event for $50. Food offerings range from two to six tickets per item. To purchase Causeway tickets or to book a Seminar visit the Swan and Dolphin Food and Wine Classic website. To book a package, including hotel stay and tickets to Food and Wine Classic , guests can call the Swan and Dolphin at 888-828-8850.